In a Nutshell: Businesses in all industries deal with consumer demand for software experiences that are both easy to use and attractive. Few sectors deal with these requirements more than financial services. 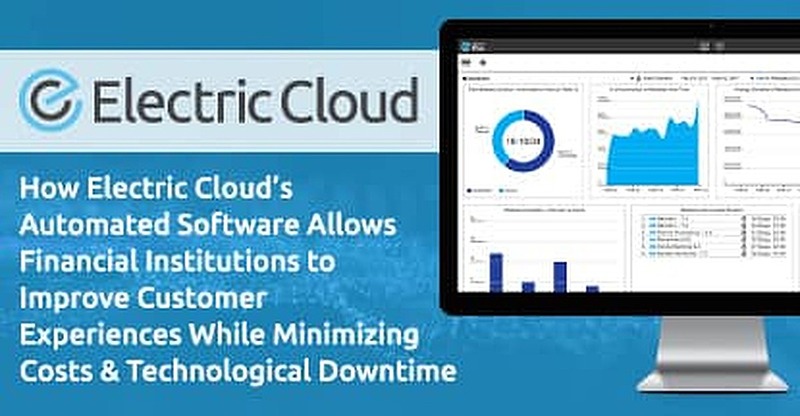 Electric Cloud’s automated software update deployment systems meet the high customer and security requirements banks face, while keeping systems online and operational through updates. ElectricFlow automates critical workflows, making them repeatable. This removes the chance of human error during the coding, testing, and deploy processes to reduce release times from weeks to a matter of hours. My wife and I recently took a trip to New York City. We did the typical touristy things — Times Square, Broadway, and Central Park. We had one last hurrah the night before returning home. After a show, we decided to splurge on dinner. The check came and the waiter flashed a million-watt smile as he dashed away with my credit card. His sparkle disappeared when he returned with the words no paying customer wants to hear. Your card has been declined, sir. If that wasn’t embarrassing enough, my wife’s card was then also rejected. I noticed an army of waiters hovering around the door, waiting to grab us in case we made a run for it. The rest of the room was oblivious, but it still felt like the other diners stared at us while we used our emergency cash to call off the cavalry. I called our bank and sat through six versions of “We wish you a Merry Christmas” before getting my answer. The company’s security software was being updated and all services — including credit transactions — were on hold for the next three hours. We spent those three hours finding a new bank. Electric Cloud has seen many financial institutions lose customers over similar problems. Software issues — like errors during updates or downtime —can consume a company’s time and budget and spoil a customer’s experience. Electric Cloud offers automated deployment of software updates that eliminate the need to shut down operations. Firms in the crowded financial space used to focus solely on numbers. Today, they are forced to dedicate resources to software coding. Company software updates can require a team of engineers and developers to check and test each line of code to make sure the changes work under stress. The process can take weeks to complete. Electric Cloud is among the leaders in the DevOps movement, which aims to unify software development and operation with the fast deployment of automated and closely monitored updates. The company removes the human element that often slows things down by assigning tasks to an automated system that runs checks and approves updates before they’re deployed. Updates that once took a week to roll out can be done in hours without interrupting customers using your platform. “We help people grind down that unit cost and risk of deploying updates to software,” Sam said. Financial institutions face ever-increasing pressures from regulatory changes and security demands. To maintain software that is compliant and engaging, they need to make regular updates. Many large enterprises turn to ElectricFlow, by Electric Cloud, to achieve all of those needs. The product was selected as the standard Application Release Automation (ARA) solution by several leading Financial Services companies, including a Fortune 10 bank, two leading electronic stock trading companies and one of the industry’s largest mortgage originators. One of those clients, E*TRADE, sped up its build, test, and deploy cycles by 1,200% using ElectricFlow. Lockheed Martin, a leading federal services and information technology contractor, saved an estimated $225,000 a year when ElectricFlow reduced the number of people needed to perform application releases. Automating software updates isolates only the code being changed instead of a mass alteration of a company’s framework. The process decreases testing time and potential user coding error. The time and cost savings gives financial firms the option of being creative with updates they make and focus more on meeting customer needs. “It allows our clients to experiment more and experiment more safely because they can roll out software updates without affecting clients,” he said. Sam noted that changes in consumer culture, and the demand for instant access to information and products, are forcing Electric Cloud’s financial clients to rethink the way they do business. Sam Fell, Vice President of Marketing at Electric Cloud. Programs like ElectricFlow and ElectricAccelerator — which quickly distributes build/test workloads across local, network, or cloud resources — are becoming more of a necessity in the modern market. 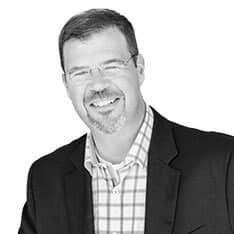 “Our software checks a lot of the boxes that financial organizations need to move quickly and keep up with the insanely high customer demand for experiences from their software,” Sam said. Companies that easily adjust to change are typically the ones that thrive in a volatile marketplace. Sam said many of the firms he’s seen succeed retain long-term partnerships with Electric Cloud. I’m a sucker for Smart Home devices. I can control almost any aspect of my house from my phone or with my voice. When I get a new gadget, I expect it to work within minutes of taking it out of the box. That’s typical of today’s consumers. Most have little patience for setup times or system updates. Financial firms are dealing every day with these increased demands, as customers want instant access to their money with the ability to transfer funds, check balances, or pay bills in three clicks or less. Electric Cloud emphasizes the customer experience with programs that automate and quickly deploy software updates across many platforms. The company’s proven track record of saving clients time and money make it an attractive partner to top banks, stock trading platforms, and mortgage lenders that want to future-proof their business practices. That innovative thinking keeps customers loyal — and decreases the odds of them getting tackled in a fancy New York restaurant.